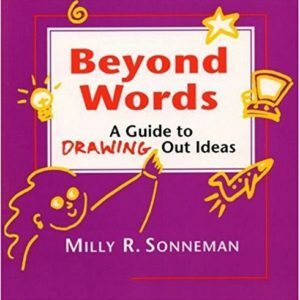 A guide to creating exciting, colorful graphics for presentations and trainings to engage participants and trigger creative thinking. Presentations are meant to inform, inspire, and persuade audiences. So why then do so many audiences leave feeling like they’ve wasted their time? All too often, presentations don’t resonate with the audience and move them to transformative action. 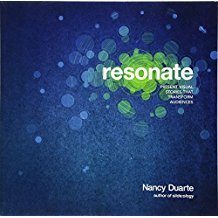 Just as the author’s first book helped presenters become visual communicators, Resonate helps you make a strong connection with your audience and lead them to purposeful action. The author’s approach is simple: building a presentation today is a bit like writing a documentary. Using this approach, you’ll convey your wp-content with passion, persuasion, and impact. No matter where you are on the organizational ladder, the odds are high that you’ve delivered a high-stakes presentation to your peers, your boss, your customers, or the general public. Presentation software is one of the few tools that requires professionals to think visually on an almost daily basis. But unlike verbal skills, effective visual expression is not easy, natural, or actively taught in schools or business training programs. slide:ology fills that void. The book combines conceptual thinking and inspirational design, with insightful case studies from the world’s leading brands. 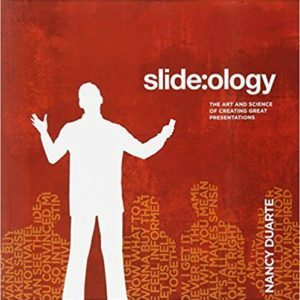 slide:ology will challenge your traditional approach to creating slides by teaching you how to be a visual thinker.